To cite this paper: Bassem Chit, Mohamad Ali Nayel, "Understanding racism against Syrian refugees in Lebanon", Civil Society Knowledge Centre, Lebanon Support, 2013-10-01 00:00:00. “How is it treating me? It isn't treating me, it treats my money. Because of the nature of my job (veterinarian) I'm dealing with middle upper class Lebanese who only make their judgments based on money. They see that I'm here spending, and they see that I too come from the middle classes so they don't show as much bigotry as it is normally the sentiment against us (Syrians) in Lebanon”. The end of Lebanon’s civil war was marked by a more direct hegemonic role of the Syrian regime over the country’s political and economic spheres, with a high level of complicity from the Lebanese rulers with the Syrian regime. This status quo allowed the Syrian regime, on one hand, to escape the economic stagnation the country faced1, through the open borders policy, allowing scores of Syrian workers to come to Lebanon in search of jobs. On the other hand, it gave the Lebanese ruling class and its contractors access to cheap labor, without providing them with any rights, in the large reconstruction projects that were initiated by the government in the early 1990’s, after 15 years of civil war. The multi-class composition of Syrian refugees in Lebanon has challenged pre-existing xenophobic sentiments and stigmas, as the starting quote mentions: “They see that I'm here spending, and they see that I too come from the middle classes so they don't show as much bigotry as it is normally the sentiment against us (Syrians) in Lebanon”. However, it only does so on a class basis. The Syrian middle classes are able, in effect, albeit to a small extent, to escape the stigmatization, which is becoming more and more focused and concentrated on poor and working class Syrian refugees in Lebanon.The ongoing popular uprising that started in Syria in early 2011 especially after the oppressive response by the regime, has now turned into an all-out war across the country. 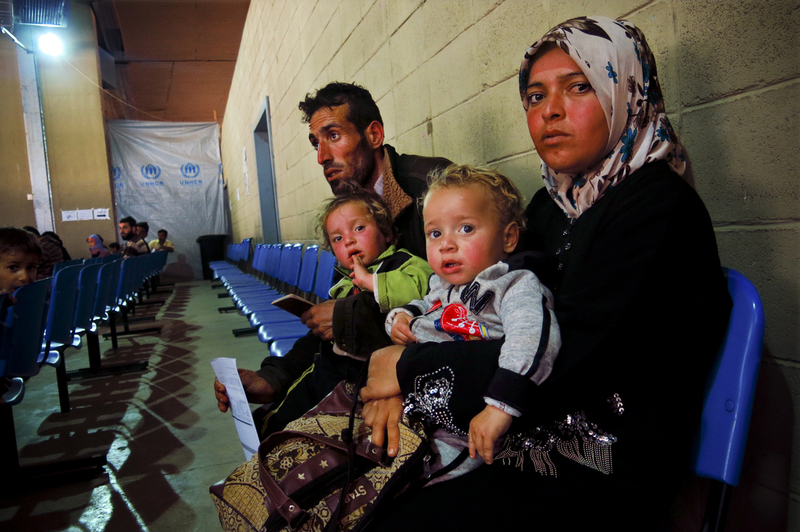 As a result, a high number of Syrian citizens fled their country into Lebanon. Yet, and in contrast to the previous composition of the Syrian community that was present in Lebanon before 2011, this new influx introduced new and different segments of the Syrian population into Lebanon, such as the Syrian upper and lower middle classes. These newcomers found striking similarities with the Lebanese middle classes. However, the majority of refugees is still composed of Syrian workers and the urban and rural poor.Resentment against the Syrian regime’s control over Lebanon grew in the post-civil war years, yet this discontent was easily channeled through the dominant discourses into an unchallenged (neither by the Syrian or Lebanese State, nor by the majority of civil society organizations and political parties in Lebanon) xenophobic and racist sentiments against Syrian workers. They became stereotyped and stigmatized as “ignorant” and “menial” workers. Although it was exactly this Syrian labor force that rebuilt Lebanon in the post-war era. At the same time, the influx of Syrian refugees is also shaping contradictory sentiments among the wider populace in Lebanon. On one side there is an element of basic sympathy, which can be identified through a diverse scope of activities such as Lebanese families hosting refugees in their homes or property, as well as basic support like clothing and food in different regions and locations in cities and villages. As a 50 year old woman comments, contemplating that issue of basic sympathy: “It is unethical to blame the refugees for the problems we are facing, they had no choice in coming here, they are running from war, like we ran before them from the [Lebanese] civil war”. On the other side, there are the dominant discourses propagated by leading political forces and elites, along with their affiliated media stations. They have been actively scapegoating Syrian refugees and blaming them for economic, social and security failures in the country. These discourses are then replicated through the daily politics of individuals and groups, forging a xenophobic and racist popular culture against Syrian refugees. MP Michel Aoun recently stated that the “Syrian refugees are a serious danger”, while Samir Geagea, the main figure in Lebanon’s Lebanese Forces, stressed on the 30th of August 2013, about “Lebanon’s inability to handle [The Syrian refugee crisis] more, and that a viable solution needs to be put in place, and the only solution is to establish safe zones within Syria’s borders under international protection.” Moreover, Marwan Charbel, Lebanon’s internal security minister declared on February 28th 2013 that the “Syrian refugees are threatening the security situation in Lebanon”. Other major political forces in Lebanon, like Hizbullah, Amal, Jumblatt's PSP (Progressive Socialist Party), and Hariri’s Future Current mostly stressed the Humanitarian aspect of the “Syrian refugees Crisis” in Lebanon, but have refrained from countering any of the racist and xenophobic discourses, in the political and media spheres and even among their base of supporters and cadres. The scapegoating discourse does not spur out of a natural inclination towards racism. Rather, it signals a deep crisis that the Lebanese state and its ruling elite have been facing since 20052. More recently, it became galvanized by the crisis faced by the Syrian regime and the consequent influx of refugees, which has uncovered Lebanon’s ruling elite’s inability to manage the rising needs within society and the calls for reform. Social dismay in Lebanon also started to accumulate around 2011, exacerbated by a history of corruption and conflicts, in the absence of any real and concrete plans of economic and social development and reform. The past two years witnessed a short-lived social mobilization against sectarianism and a prolonged mobilization and strike movement by the Trade Union Coordination Committee, in addition to localized protests, such as the electricity workers’ open strike. Added to that was the rising pressure from civil society forces for equal rights for women and other social issues. This led the Lebanese State and major political forces in the country to actively try to escape that pressure by attempting to channel existing popular resentment against the State towards a xenophobic and racist victimization of poor Syrian refugees. To simply say that the Lebanese are naturally racist is shortsighted. This over-simplification tends to overlook factors that concentrate and divert people’s frustration against their own regime, towards scapegoating and discrimination against Syrian refugees. In order to discern this process of diversion or deflection, the role of Lebanon’s media institutions needs to be interpreted and the manner in which they shape people’s general understanding and consciousness of the world around them and its contradictions. The author in this paragraph summarizes the problematic of this article. First, he manages to establish an unquestionable status quo in Akkar by saying it “already suffers from a tough economic hardship and shrinking job opportunities.” He then suggests that what is galvanizing these hardships is also another unquestionable fact, which is the taking over of jobs by the Syrian refugees, who are “already registered as refugees and are benefiting from international, Arab and local aid”. From another side, the author also fails to mention the reasons why Syrian refugees, who are “receiving aid,” as he states, are in dire need of finding jobs. He also fails to ask whether the provided aid is actually enough to sustain the Syrian refugees, who did not flee to Lebanon by choice, but were rather forced to do so due to the ongoing violence in Syria. By omitting these facts, the author, on one hand, leaves the reader with the conclusion that people in Akkar are communities who, in order to make a living, need to fend for themselves, without showing the shortcomings and responsibilities of the State or the region’s elected MPs. On the other hand, he suggests that Akkar’s residents, although living a tough reality, they were generally doing ok, until the Syrian refugees arrived to the region. Although the author mentions the reasons why Syrian refugees use motorbikes, as it has a low cost compared to the high costs of local transportation systems in Lebanon, he misses the fact that the use of motorbikes is also a prevalent means of transportation, for the same reasons mentioned above, for many Lebanese from working class or poor backgrounds. Instead of tackling the question of transportation, facing both poor Lebanese and poor Syrian refugees alike, which is by all means the responsibility of the Lebanese State and ruling elites, the issue is thus diverted into an unresolvable dilemma presented in the concluding comparison, portraying quaint Lebanese villages versus the noise and nuisance that is caused by Syrian refugees on motorbikes. “changing landmarks in Beirut and its daily routine and Sunday market has had the lion's share from this change”. The author fails to pursue this issue, but continues to generally describe the Lebanese stall owners’ reaction to Syrian customers and vice versa. The article overlooks the effects of rising rent prices and the reasons behind the hike in product prices, which many of the author’s interviewees mentioned in the article. One woman is reportedly saying: “Are Lebanese used to pay such prices or where they hiked just to welcome the Syrian visitor?” The author simply focuses on the antagonism that exists between Lebanese and Syrians, inadvertently contributing to the portrayal of an embedded racism, without showing who are the ones responsible or pulling the strings and fueling such racism. The use of the word “Lebanese prestige” at the beginning of the article, to describe an assumed slow or quiet movement in the market before the influx of Syrian refugees, hints at a certain assumed bourgeois character of Lebanese citizens. It is then re-established by describing the “Lebanese corner” of the market, as being similar in shape to the bourgeois streets of downtown Beirut, compared to the popular character of the other stalls (where the author does not really say whether they are Lebanese or Syrian). The missing facts and questions for understanding the antagonism rising within the politics of this market are many. Who is the Lebanese management? Why did it hike the rent prices?,What were the reasons behind the rent hike? How did that impact the prices of goods sold in the market? Who was affected? How did that play in fueling or driving antagonistic sentiments between Syrian and Lebanese shoppers and stall operators? Falling into the same problematic of media reporting in Lebanon when dealing with the question of racism against Syrian refugees is the continued focus on reporting “racist behavior,” whether in support or in condemnation. Either way, it is being enforced as the media fails to look into what drives it, what encourages it, and what are the conditions that are nourishing its propagation within society. All in all, those responsible for economic policies in Lebanon, the establishment of working and accessible transportation systems, the management of markets, such as Souk Al-Ahad, are all outside the picture the media reports when tackling questions related to Syrian refugees in Lebanon. The reader is left with two conclusions; either the Lebanese are inherently racist, as a unchanging fact, or Syrian refugees are greedy workers who steal jobs from poor Lebanese citizens. This culture of diversion, if it may be called as such, is not new. It has been a longstanding accompanying discourse of Lebanon’s ruling elite, in building their own political hegemony and preserving their rule. The ills of Lebanon are always relegated to being the result of interference of “stranger” and/or “foreign” elements. This is exceptionally true in the dominant discourses interpreting the causes of the long civil war that destroyed the country between 1975 and 1989, following which the ruling elite declared a general amnesty and resorted to explain the civil war as a result of the interference of “Palestinians” or “Syrians” in local Lebanese affairs. It was enough to divert attention from the real causes of the war, the State’s sectarianism being one of the major causes. Yet this scapegoating is never done on the level of interfering governments or rich Arab and foreign interventionists. Quite the contrary, it has always been directed against migrant workers, refugees, workers, and the poor. It is exactly this economic or class element of this culture that is worrying. The opening quote of this article mentions that “it [Lebanon] treats my money”, making Lebanon a safe haven for the rich and, at the same time, a punitive establishment for the poor. The punishments is incited through sectarianism and racist and xenophobic strife and conflict. In an environment of economic scarcity, hardship, and poverty, questions about who is more poor and more needy, among the poor, is directly and indirectly attempting to hide a more important and more crucial question, which is why do Syrian and Lebanese, whether in Lebanon or in Syria, have to live in poverty and hardship? In the mean time, projects for constructing billion-dollar shopping malls and sky-high expensive resorts and buildings are ongoing in different places around the country. It is that culture of not questioning poverty and scarcity,that allows and drives the development of racism, sectarianism, and xenophobia. “We have covered larger sections of Lebanon and we have become too many to the extent that the Lebanese cannot tolerate us any longer. They have also increased their authority and control over us at work. Even some of them have stopped paying us our salaries. The hard living conditions are not the only reasons that make Syrian refugees line up at the doors of UNHCR, but also because in Lebanon they don’t feel that they are outside the Syrian crisis. Everyone in Lebanon wants to know where we are from, who we belong to. or who we support. This way, the Lebanese choose to deal with us based on our backgrounds”. Nasser fled with two generations from his family, all wanting to reach the West. It doesn’t matter which country they go to, what only matters is to get out of here. Nasser tells al-Akhbar newspaper on October 16th, 2012. Stories and news reports about Syrian refugees in Lebanon are abundant in Lebanese media. Stories covering the refugees seem to cover almost all aspects of being a Syrian refugee in Lebanon. However, they are always portrayed in majority as having a “turbulent” effect on Lebanese society, without actually looking to the already existing turbulent conditions in the country. The fact that Syrian refugees are being coerced towards a refugee status is similar to that which many Lebanese faced during the 2006 Israeli war on Lebanon or the Civil War. But it is mostly neglected or only used to justify support for the regime or segments of the opposition in Syria. It does not purport to show the striking similarities in hardships, oppression, and exploitation that both Syrian and Lebanese face, while living under the existing ruling orders; the continuous state of stagnation of reforms that both the Syrian and Lebanese regimes are facing; or the effects this stagnation has in terms of exacerbating social and civil injustices. The media commands how people understand and interpret reality to a large extent. Thus, if the space is left for a shortsighted or deflected explanation of reality, this contributes, in one way or the other, to diverting people’s focus away from the real problems. Thus, it creates a culture of misinformation, which contradicts the democratic culture that the media presumably contributes to developing. In conclusion, civil society organizations in Lebanon cannot continue treating Syrian refugees in Lebanon through a strictly humanitarian lens. They must be mindful of the prevailing discourses that shape people’s opinions about refugees. They should also systematically counter that discourse by putting pressure on media institutions, in addition to the State, and by developing alternative discourses. This could win people outside the racist and sectarian discourses and lead to a focus on real issues that people face and the shared experience both Lebanese and Syrians are facing and have faced in the past, in their struggle against exploitation and survival under oppression, exploitation, wars, and social injustices. 2. The Lebanese ruling class crisis has presented itself in several forms during the past few years, either by their inability to resolve the political conflict that has been reaping through the country since 2005, and in their inability to respond to the rising economic hardships that most Lebanese are facing, as well as the massively accumulated national debt which accounts to more than 40 billion US dollars (which is a result of the pandemic state of corruption that characterizes the Lebanese ruling order). Mohamad Ali-Nayel is a freelance journalist based in Beirut.